Wondering what to do with the old Christmas Tree? Consider Christmas tree recycling. Give it to the birds! 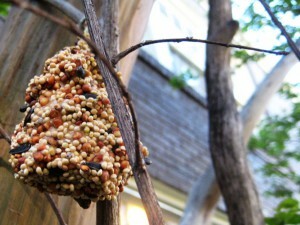 Move the tree outside and create your own backyard bird buffet! Find a place outside where the tree is sheltered from the winds, and stand it upright instead of on its side. Birds prefer a tree that is off the ground and way from predators. Attach it to a pole or fence if necessary. Get the entire family involved, especially the kids. If you have pinecones have them add peanut butter to the pinecones and then hang them in the tree. Or roll the peanut butter pine cone in bird seed, or press dried cranberries, raisins, or sunflower seeds into the peanut butter. Other ideas include stringing popcorn and cranberries and hanging the strings in the tree. Cardinals, finches, and grosbeaks love popcorn. Cedar waxwings and robins will appreciate cranberries and raisins. Another idea is to cut an orange in half, take out the pulp, and fill it with homemade suet. This provides a good energy source for woodpeckers, chickadees, and nuthatches. 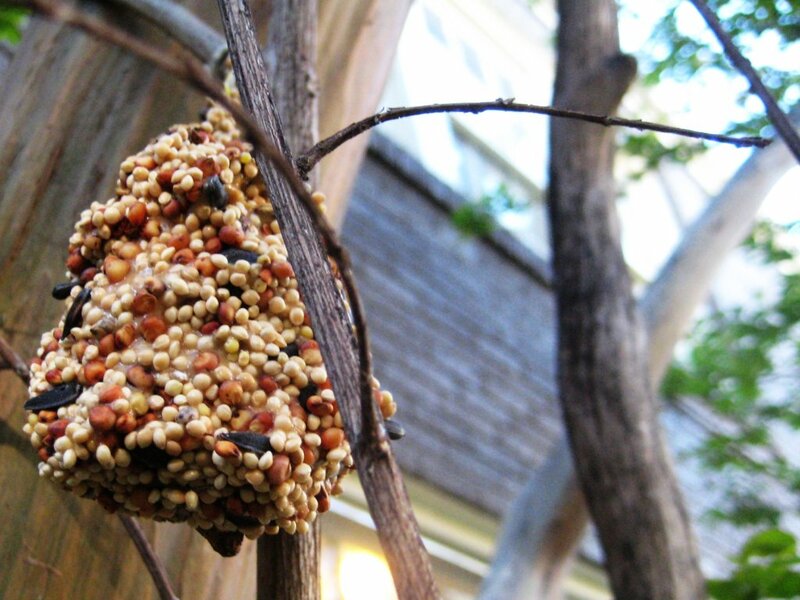 Looking for wild bird seed? Come see us, we have a great selection of bird seed and houses. Sink your tree in a pond (with permission, of course). In deep water, old trees become habitats for fish and aquatic insects. In shallow wetlands, trees can act as barriers to sand and soil erosion—though currently only the State of Louisiana has a tree-based restoration project in place. Cut off the boughs and place them on the ground like a blanket to protect plants that are susceptible to windburn, plants that are marginally hardy in your area, and plants that might come up early and be nipped by a late spring frost, such as fall-planted pansies or early emerging perennials. Find out if your town or city has a special day for picking up Christmas trees or a place where you can take them after the holidays. This entry was posted on Thursday, December 22nd, 2016 at 9:08 am	and is filed under articles, News & Updates. You can follow any responses to this entry through the RSS 2.0 feed. Both comments and pings are currently closed.